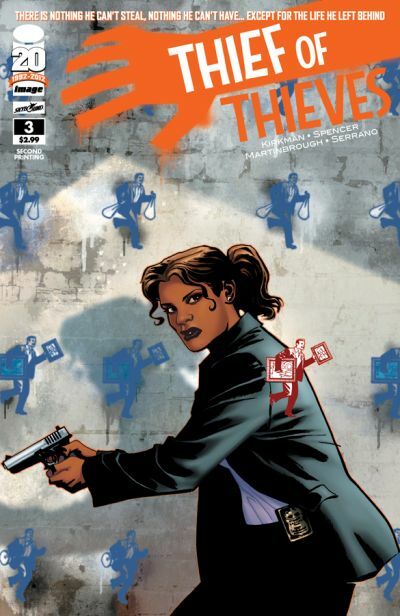 THIEF OF THIEVES #3, published by Skybound/Image Comics, has sold out at the distributor level just like the second issue. The first issue sold out on the first day of release. 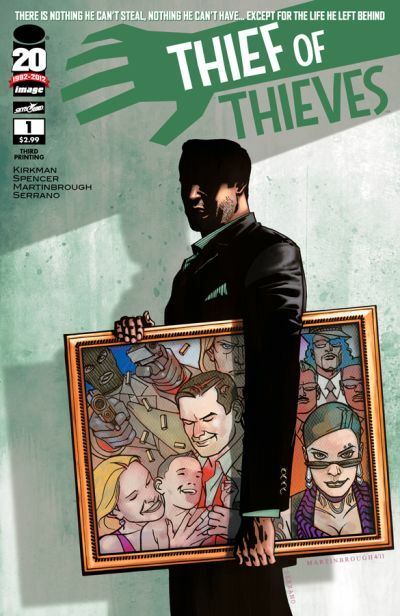 A second printing (MAR128105) will be in stores on May 5, the same day as THIEF OF THIEVES #4. More and more readers are snatching up this action-packed crime noir, so the first issue has also been returned to print yet again. The third printing of THIEF OF THIEVES #1 (MAR128105) is available for order immediately and will also be stores in stores on May 5. The new ongoing series, written by Robert Kirkman and Nick Spencer with art by Shawn Martinbrough, is a runaway hit, requiring multiple reprints for every issue thus far. Following the announcement last week that AMC will be adapting the series for TV with Kirkman and David Alpert in their same capacity as Executive Producers on THE WALKING DEAD, and Chic (DEXTER, THE SHIELD) Eglee as Executive Producer and showrunner, orders and anticipation are expected to continue to rise even higher. THIEF OF THIEVES is about a master thief who leaves behind his life in the high-stakes world of crime to try to return to being a family man. Each 32-page full-color issue is available for purchase and reorder in comic book stores and on multiple digital platforms.